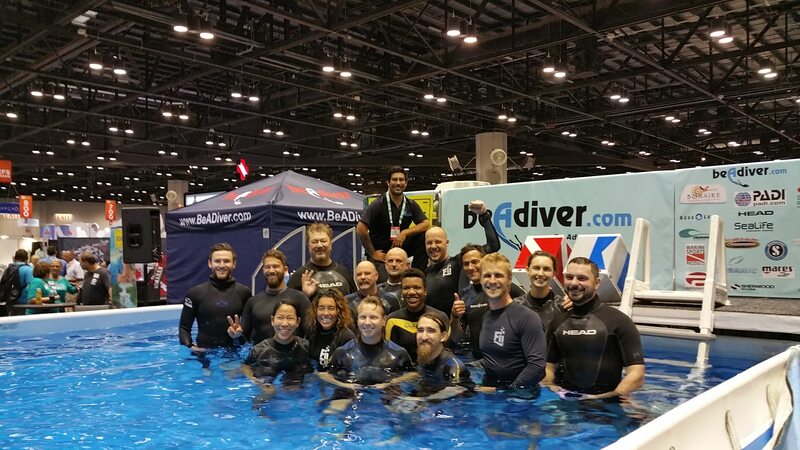 Martin Stepanek, founder of Freediving Instructors International and 13-time world record holder, demonstrated his Double Your Breath-Hold in 30 Minutes Mini-Course at the DEMA Demonstration Pool. Each of the participants significantly increased their breath-hold with most more than doubling their times. Dionne Wilson from Florida State University increased her static breath-hold from 40 seconds to 2 minutes 20 seconds. Colonel Echols from Landshark Scuba & Snorkel Center increased his from 30 seconds to 2 minutes 30 seconds. Martin’s breath-up and recovery breathing techniques as well as the comfort provided by the hands-on instructor support seemed to allow attendees to relax and maximize their breath-hold in literally just 3 attempts. 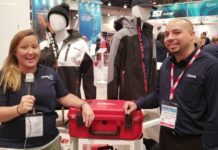 Joi Haroun from Drift Freediving, which is an FII affiliate in Fort Lauderdale, explained that FII Core Courses teach a variety of skills and theory, but really focus on safety. From proper buddy practices and efficient weighting, to the importance of exposure protection and diver responsibility, courses are designed to build upon each other. Martin is most excited about the expansion of the FII Facility Network. Many Certified Freediving Instructors work full-time and others fit schedules into their lifestyles. 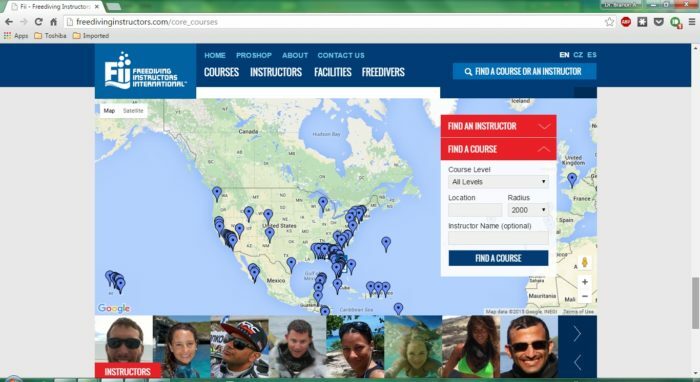 The network allows FII shops to cooperate not only with each other, but also with instructors from around the world. Instructors can use the network to book classes in just about any location, and shops can use the network to offer more frequent classes or even differing levels and varieties of classes. The symbiosis benefits all involved, especially students by increasing course availability. The sport is growing so rapidly and interest in FII’s courses has been so intense that Stepanek has actually had to intentionally restrict the growth of the company.  Already the largest freediving certification agency, Freediving Instructors International wants to ensure that it maintains the quality control of all of its programs. Controlling growth is a key strategy to maintaining the strength and effectiveness of the network. Stepanek recently collaborated with C4 to create the Martin Stepanek Signature Fin. He beamed, “This is the fin I’ve always wanted.” The project took more than a year to complete, and Martin says that he was so adamant about certain design characteristics that he is surprised they didn’t just scrap the project because the process was so intense. He said his contract required that dealers offer the complete fins as well as the blades separately. Some brands require blades to be sold only with a proprietary pocket. Divers seeking out carbon fiber blades are more likely to be experienced and know which foot pockets they prefer. Martin wanted to honor that experience, and the C4 blades allow them to maintain that preference when switching to the C4, which is distributed by Maverick America. 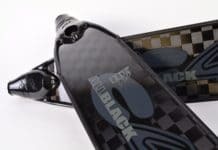 The result is not only a series of effective freediving fins, but also carbon fiber blades that can be used in the foot pockets of numerous manufacturers. The blade allows divers to push deep when they want to while also maintaining maneuverability and the ability to return to the surface more efficiently. A softer blade also fills a void in the women’s freediving equipment market.